Overwhelmingly, you like what we're doing. More than 97% of respondents agreed or strongly agreed that the site is fun and friendly and that the information on our site is reliable. 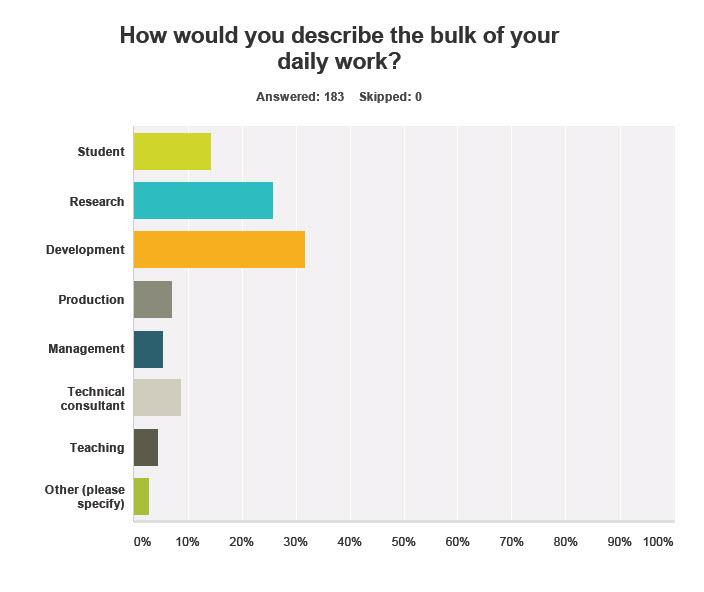 95% said they enjoy the conversational style. 91% enjoy the humor and like reading about microwave history. And, just so we don't all get swollen heads, we did have one person disagree with each of those statements. 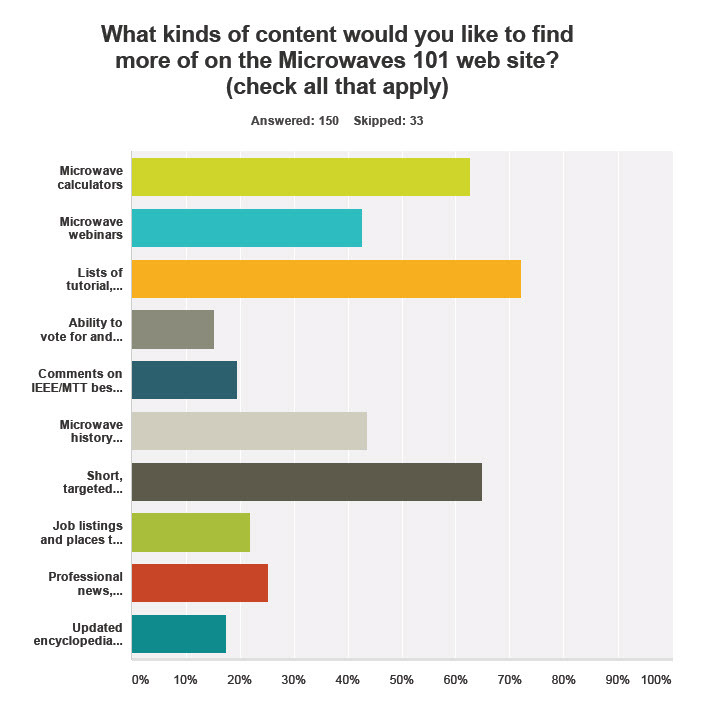 We also asked for details on what kind of content you want to see more of on the site. Top three? More tutorial/review articles, more application notes, and more microwave calculators. You ARE a practical bunch! We also asked about you, our loyal readers. 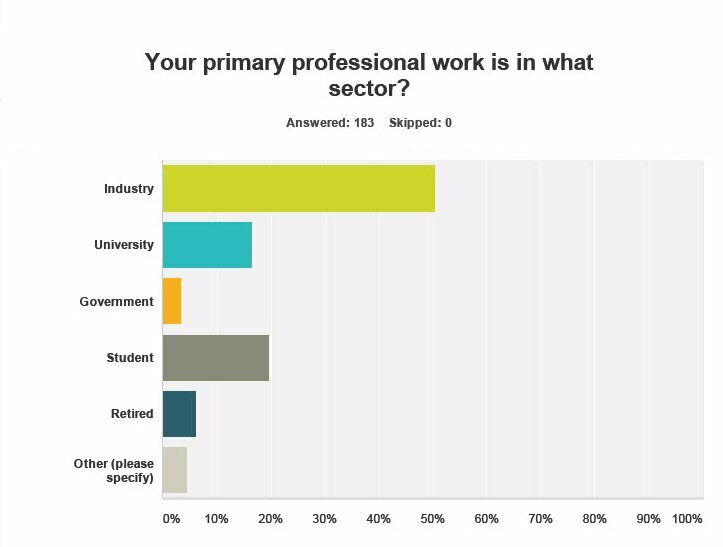 Answers spanned a variety of job descriptions and sectors and countries. What's next? We'll be reviewing these results with our crack team of editors and contributors, and devising a plan for the coming year. Don't feel bad if you didn't get a chance to contribute your opinions - we'll do another survey again next year. And, as always, feel free to write to us and tell us what you think, good or bad. We try to respond to everyone.